Please note that subscriptions are due on 1st January – but new members joining between September to December will automatically be given membership for the following calendar year. The OCA are offering “Goody Bags” to all new kitten owners who are given 1 year reduced membership by an OCA breeder member, when purchasing a kitten. Breeders can collect Goody Bags from the OCA table at shows or order from Linda Schofield email sarujipa@gmail.com. Goody bag reduced membership rates below. 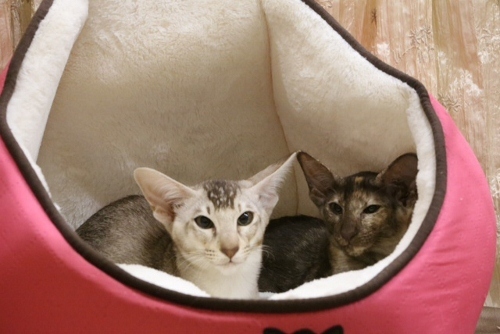 Please feel free to download the Oriental Cat Association Standing Order Form for your yearly membership subscription. Family – add £1.00 per child under the age of 16 years. The club is also able to accept membership fees by bank transfer. If you decide to pay by bank transfer then please use your full name as the reference.